Tom Clancy's Ghost Recon: Wildlands has been one of the most successful games of the year so far. It became the fastest selling boxed game in the UK last month, and is part of the Nvidia Prepare for Battle bundle promotion recently expanded to include GeForce GTX 1060 buyers. Now Ubisoft has published details of the first expansion for Wildlands, dubbed 'Narco Road'. In Narco Road you will seek to infiltrate a trio of gangs to bring them down from within. The gangs are under the control of El Invisible and a key part of the drug smuggling operations. Each gang presents its own unique boss and dangers to you (solo, or with a friend in co-op mode) as an undercover operative. In brief you will infiltrate "the thrill-seeking Kamikazes, the muscle car-loving Jinetes Locos, and the Santa Muerte-obsessed Death Riders". 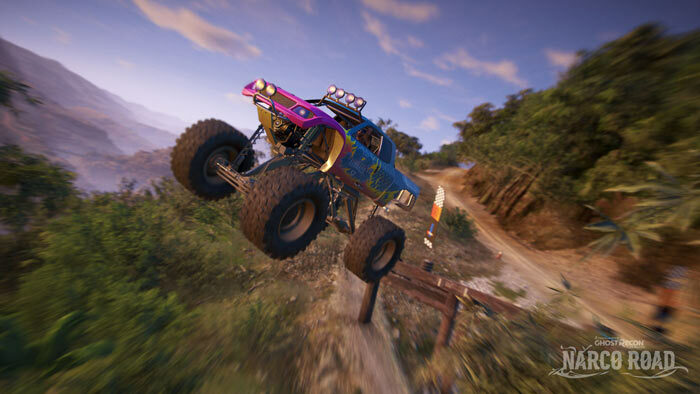 Playing the new expansion you will enjoy 15 new campaign missions, which include four new types of side mission plus racing challenges in the gang vehicles. Monster trucks, muscle cars, stunt planes, and powerful motorbikes all feature. Other bonuses that come with this DLC include nine new weapons, and four new outfits. During the Narco Road missions you will earn fame and followers, thus ingratiating yourself with the gang bosses. Ubisoft says that Narco Road is the first of two significant DLC packs. 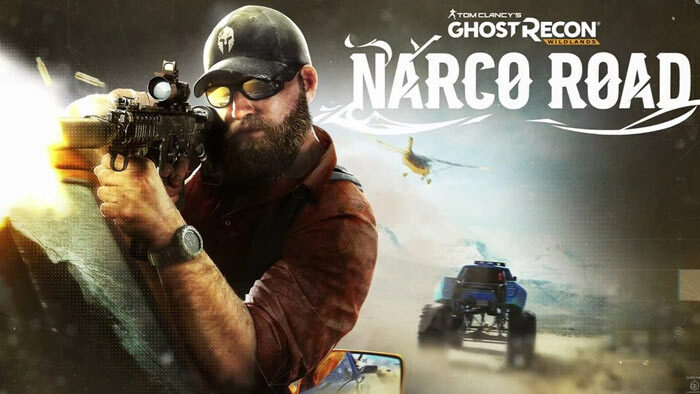 The expansion will be released on all platforms on the 25th April, however Season Pass owners will get access to Narco Road a week earlier. The second major expansion is called 'Fallen Ghosts' where your helicopter is shot down and you and your squad have to escape from elite mercenaries. 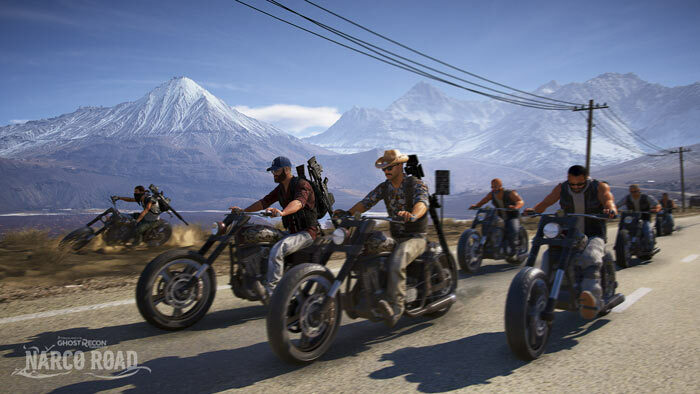 Today on consoles and from 14th April on PC, ahead of the launch of either DLC pack, Ubisoft is providing a free update to Ghost Recon: Wildlands. 'The Rise and Fall of Unidad,' will challenge players to target Unidad operations and includes live season challenges and new rewards.